Gordon Bunshaft’s iconic modern structure on 5th Avenue has been transformed into a contemporary retail tour de force. Originally designed for Manufacturers Hanover Trust in the fifties, the glass curtain wall creates total transparency into the space and the illuminated ceiling, far ahead of its time, glows on Fifth Avenue like a billboard. 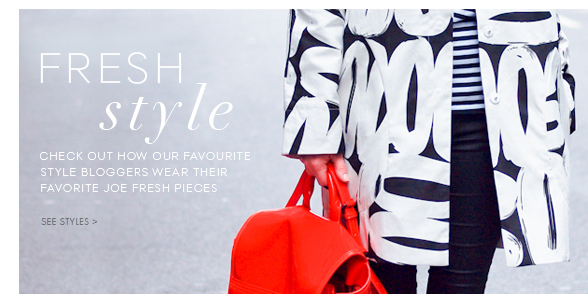 This transparency is perfect for a growing retailer looking to create a flagship store aligned with its brand. The original design firm SOM has taken the historic structure and renovated it to showcase the original classic modernism while artfully making changes required of a retail program including new entry on fifth and vertical circulation to the second level. 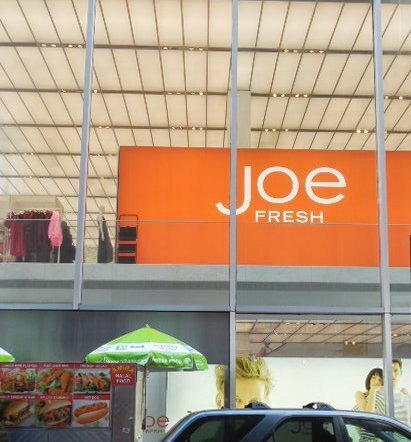 Joe Fresh, a Canadian company with origins operating out of grocery stores, has been on a growth tear over the last several years with 300 stores in Canada and the fourth New York store opened last year. The brands concept relies on contemporary colors, bold patterns and white backgrounds to create a distinctive line of fast fashion. The integration of the retailer into the formerly financial space works beautifully. 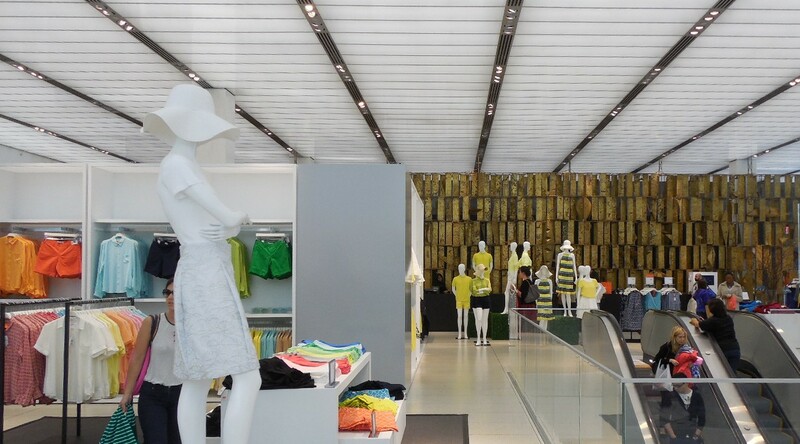 The luminous ceiling’s cold cathode was replaced with current technology making the space look almost museum like and the merchandise with its bold colors pop in the space as a result. Even the original bronze Bertoia screen has been reintroduced into the space and works because it provides pattern so similar to Joe Fresh’s apparel patterns. Bottom Line: Integrating this modernist classic with a retailer whose brand exudes some of the same principles and properties of the original structure is a win for this architectural classic, a win for preservationists and a win for this area of New York which experiencing a revival as a result of Joe Fresh’s success in the area. Additional information on the renovation see an Architectural Record article.